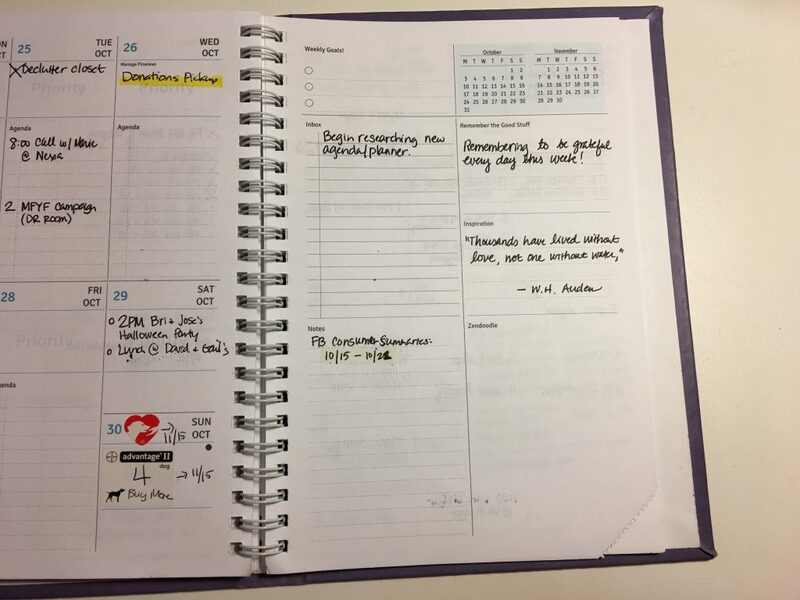 I bought my first Agendio planner a little over a year ago after discovering the company while browsing a Facebook group on personal organizers. I’ve used of Franklin Covey planners avidly for years. Personal organization is something I invest a lot of thought, effort, and time into. For me, it’s not just about doodling and making pages look pretty. It’s about making sure a spread in a notebook effectively documents what I’ve done and what I need to do in order to progress forward and live a productive day. Not to knock any of you who do like to draw and make pretty checklists in your planners, but that motivates you and I applaud whatever motivates someone to be productive. But stuff like that doesn’t motivate me, it just distracts me and wastes my time and I end up getting frustrated. So here are a few quick facts about Agendio planners before my video review. Agendio creates customizable planners AND refills for both Franklin Covey, Filofax, and Day-Timer planners. Can also choose letter-sized punched or non-punched. At the time of this review, Agendio prints their planners on 90 gsm paper, which is decent weighted paper for those of you who like to use fountain pens to write. In my experience, production and shipment time takes about 2 weeks. Where Do You Buy Agendio Planners? Online via their website at agendio.com. How Much Does an Agendio Planner Cost? They cost roughly $30-$45 depending on how you customize it. After shipping and extras, you can expect to spend up to $50 for a planner. Here’s a sampling of what divisible options you have available to you: dotted (or solid) lines of varying widths, lists, blank divisibles. Each one can be labeled to your liking. What Can You Customize in Your Agendio Planner?